When it comes to style, I like to do an elevated version of casual, whether that's a plain white tee in a really nice cut and quality fabric, or taking a silk dress and wearing it over wide leg trousers and flats. 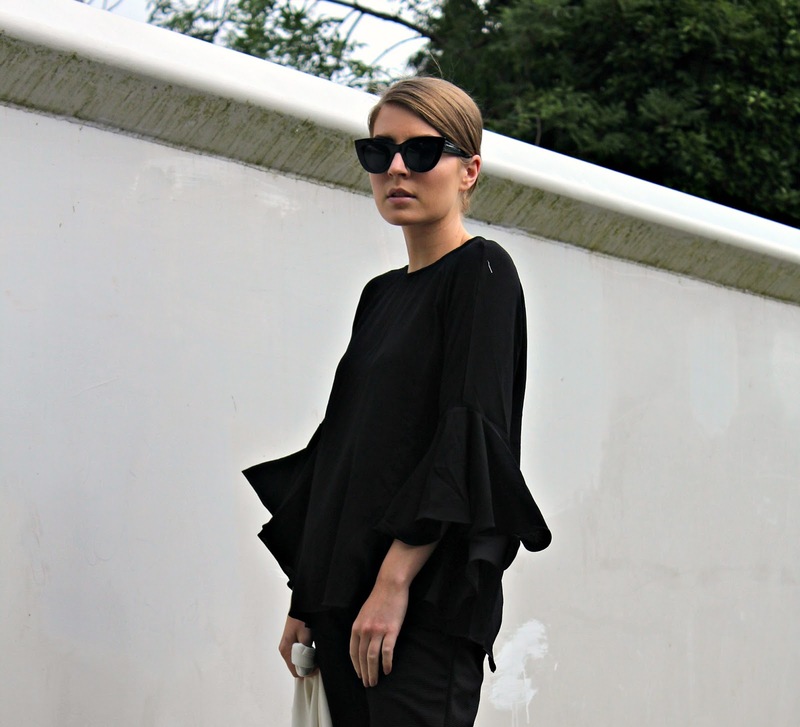 Here, it's about pairing rolled-up, slightly loose black trousers and slip-on flats with a frill-sleeved blouse and jersey trophy jacket, complete with embroidered trim. Easy, but effective. Find out your perfect style with Boohoo here.